Oakland Coliseum is on the itinerary of four of those 30 tours operated by Big League Tours, starting with the California Gold Tour on May 5-12. That five-ballpark trip begins at Petco Park in San Diego, then goes to Angel Stadium in Anaheim and Dodger Stadium in Los Angeles, then heads up to the Bay Area to watch Mike Trout and the Angels play a day game at Oakland, capped off the next night with Reds vs. Giants at AT&T Park in San Francisco. 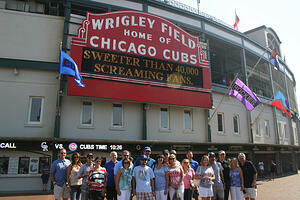 Ultimate Baseball Road Trip packages offer at least one tour to each of the 30 MLB ballparks. Tour packages range from two stadiums over three nights up to seven stadiums over eight nights. You'll sit in premium seats, take behind-the-scenes stadium tours and meet with former big leaguers. Vida Blue, Bill "Spaceman" Lee, Dave Parker, Len Barker, Tom Browning and Hall of Famer Nolan Ryan are among past examples. The experience carries over into the cities, too. 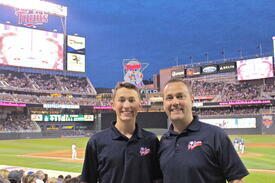 Tour packages include first-class accommodations in the heart of these great baseball towns. "We know that fans have their own bucket lists, some that include Wrigley Field, Fenway Park, the Hall of Fame, or visiting all 30 Major League ballparks," said Glenn Dunlap, president and founder of Big League Tours. "We offer the Ultimate Baseball Road Trip that enables fans to make their dreams come true." Dunlap knows from experience, because in 2014 he and his son completed their own quest of seeing all 30 ballparks in use at that time. The trips are designed for fans of all ages. "After looking for companies that offered baseball tours the way that I wanted them, I started to realize that they didn't exist," Dunlap said. "I kept thinking if you only visit each stadium once, you'd better do it right. Doing it right means sitting in great seats, taking behind-the-scenes stadium tours, meeting baseball insiders and staying right in the heart of MLB cities. Since nobody else was doing it that way, I began wondering if there were other people who wanted those same experiences." Click here, http://m.mlb.com/news/article/214403304/ballpark-tours-offer-experiences-of-a-lifetime/, to see the whole article. OK, I know... the official Opening Day was Sunday. But, for a Reds fan like me who remembers the long standing tradition of MLB's oldest franchise playing the first game of the season, Monday was my Opening Day. Go Reds!! 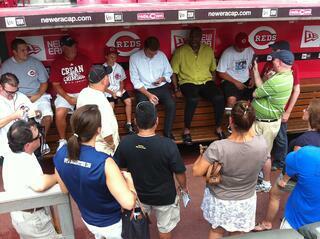 I'll be watching all the games this week recalling the many guests we've hosted at the 30 ballparks. Glenn Dunlap and I are also looking forward to making new friends on the road in 2016 as we celebrate our 10th Anniversary Season. Glenn will be hosting our first tour of the season- The Southern Swing. Then, our tour season ramps up with East Coast and Mideast Tours in May, and a full slate of East, West, Midwest, and Mideast tours running through September. I hope you will join us this year. You'll have premium seats for all the games, stay in first class hotels in the hearts of the city or near the ballparks, enjoy our Big League Player Experience, go on behind the scenes stadium tours, and much more. Click the links below to see all the tours for 2016 and book your baseball vacation. 2016 marks our 10th Anniversary Season, and we are excited to announce our biggest tour season ever! All of our baseball vacation packages are online and available for purchase. We have several new itineraries to go along with our fan favorites starting with a NEW Southern Swing Tour in April, and ending with an East Coast Tour in September. Click the buttons below to see all of our 2016 baseball tours by region. Can you believe it's already time for the All Star Game? 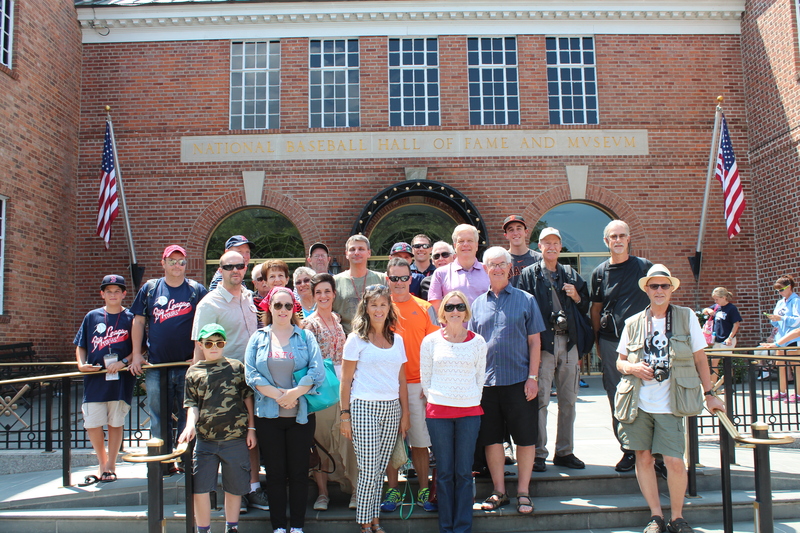 The 2015 baseball season is nearly half over, and that means there are only a few more opportunities for you to experience the baseball vacation of a lifetime with Big League Tours. We are offering our most popular tour itineraries in August, and we still have room for you!! Book now to hold your spot and join one of our luxury tours. But hurry, we will end the reservations for these tours on July 18. Click the links below to see the details and book your tour. celebrating their 30th baseball stadium. Something Dunlap always wanted to do was visit every Major League Baseball stadium. Since he couldn’t hit breaking balls, his chances of seeing ballparks from the dugout had already passed him by. So he searched for a tour company that would help him fulfill his bucket list dream as a fan. When he didn’t find what he was looking for, he decided to launch his own company. As it turns out, there were. 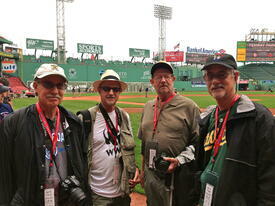 Now heading into their 10th season, Big League Tours has hosted travelers from all over the world. Some want to see a stadium from their childhood or follow their favorite team. Some have the bucket list dream of seeing all the stadiums. But whatever their motivation, all are seeking a fantastic baseball experience. One such traveler is Sheryl Malone, who has been on 5 trips with Big League Tours, visiting 28 of the MLB stadiums, 19 of them with the company. A Cleveland native, Sheryl has watched Indians greats such as Larry Doby, Bob Feller, Bob Lemon, and Early Wynn. She credits her grandma with introducing her to baseball at a very young age, but it doesn’t take long to realize that Sheryl’s whole family was influenced by the game. Her dad was a big fan, taking the family to games whenever possible, her sister is a Dodgers season ticket holder, and her late brother worked for the California Angels and the Cleveland Indians. “I really like seeing the different architecture of the stadiums, what they have built up around them, with so many things to do,” Malone said. “I also love to meet all the people on the tours and to be with fans who really love the game. When you’re with a group of people with the same interests, you can root for different teams, but have great camaraderie.” Sheryl will celebrate her 30th stadium in Kansas City this summer with friends and family on a Big League Tour. while on their East Coast bucket list baseball tour. John Rosskopf took his first trip with Big League Tours in 2014. John is a rabid baseball aficionado, having grown up watching his father pull weeds in the lawn at home with a San Francisco Giants game on and a transistor radio always close by his side. For the past twenty years, John has been attending San Francisco Giants games each year, both at Candlestick and AT&T Park, but didn't get the bug to see all the stadiums until he discovered Big League Tours with three golfing buddies. "We were all very impressed with the whole experience...not just the baseball, but the great cities you are exposed to during these tours,” shared John. “Big League Tours gets the best hotels in these fabulous baseball meccas, and you travel with people who love the game too." John had already been to the stadiums on the west coast, but the trip back east was definitely eye opening. "I never knew what a great time you could have in other peoples' parks with new found friends who love the game too. I definitely am going to take advantage of this great opportunity and see all the stadiums, as long as I am able to travel." Big League Tours helps fans get closer to the game by securing lower level seats, arranging stadium tours and player experiences, and providing first-class hotel accommodations. Flexible itineraries allow fans to experience the best of the best in the greatest baseball cities across the nation. Unlike other tour companies, Big League Tours not only takes care of the buses and games for a baseball tour, but also provides extras that turn tours into true sports vacations, loaded with unique baseball-related events. 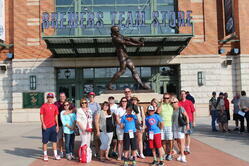 For more information, contact Big League Tours at www.bigleaguetours.com. Our West Coast baseball tours are becoming increasingly popular. It's easy to see why... They include fantastic cities up and down the California coast; one of the best of the new ballparks, AT&T Park; and the historic Dodger Stadium. The extended versions of the tours have options that include SAFECO Park in Seattle and Coors Field in Denver, too. These tours start the week of Memorial Day, so it's a perfect time to extend your vacation. The full West Coast Plus tour begins in LA/Anaheim, includes 7 games in 7 different stadiums, and plenty of time to explore these great cities. Click here to see the details. The full West Coast tour includes the 5 California stadiums and Seattle. Click here to see the details. The California Gold tour takes in 5 games in all 5 California stadiums, and plenty of time to explore these great cities. Click here to see the details. The Southern Cal tour begins in LA/Anaheim for two nights, finishes in San Diego, includes 3 games in 3 different stadiums, and plenty of time to explore these great cities. Click here to see the details. The Bay Area tour has you staying in San Francisco three nights, includes 2 games in 2 different stadiums, and plenty of time to explore the City by the Bay. Click here to see the details. One thing you'll notice about our tours - We typically offer a long tour that lasts for 7-8 days, in this case the West Coast tour. We then offer shorter versions of that tour at the same time, such as the Southern Cal and Bay Area Tours. This allows you to choose the tour that best suits you. - Big League Tours host! Our 2015 tour season kicks off with some Big League Tours fan favorites. 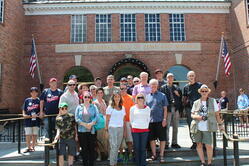 Year in and year out, our most popular baseball tours are out East, as they include Fenway Park, the oldest stadium in the Majors; trips to Cooperstown, NY, home of the National Baseball Hall of Fame; Oriole Park at Camden Yards, the first of the "retro" stadiums; and of course, Yankee Stadium. Take a look at these East Coast baseball tours in May of 2015. They run right up to the Memorial Weekend holiday, a perfect way to stretch a holiday and make the most of your vacation. The full East Coast May tour starts in Baltimore, offers 5 games in 5 different stadiums, and includes a day at the National Baseball Hall of Fame. Click here to see the details. The Mini East Coast May is a shorter version of the tour above, it begins in Baltimore and ends in New York, and offers 4 games in 4 different stadiums. Click here to see the details. 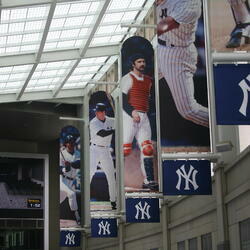 The Hall of Fame May includes Mets, Yankees and Red Sox games as well as a day at the Hall of Fame. Click here to see the details. The Big Apple May tour includes Mets and Yankees games with time to explore the City that Never Sleeps. Click here to see the details. One thing you'll notice about our tours - We typically offer a long tour that lasts for 7-8 days, in this case the East Coast tour. We then offer shorter versions of that tour at the same time, such as the Mini East Coast, Hall of Fame and Big Apple Tours. This allows you to choose the tour that best suits you. 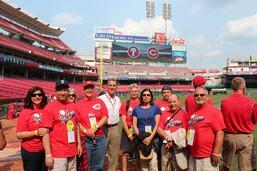 JOIN BIG LEAGUE TOURS ON A LUXURY BASEBALL TOUR IN 2015! We have been working diligently over the last few weeks to come up with the best tour itineraries and destinations for our guests in 2015. We are proud to announce that all of our 2015 luxury baseball tours are now available for purchase. We have 32 tour itineraries to offer our guests in 2015. Our tours will feature a new East Coast itinerary that includes Pittsburgh; a new Mideast tour that includes a day/night at Niagara Falls; two new West Coast Plus tours; new Mini East Coast and Mini Midwest Tours; and much more. You can choose from three or four night destination-type tours, or full, extensive tours that include multiple ballparks with up to eight nights accommodations. No matter what tour you choose, you will be guaranteed to stay in the finest hotels in the hearts of the cities or near the ballparks; have premium seats for every game; enjoy our sensible itineraries where you will have plenty of free time to explore; and all the other Big League Tours extras. Click on the links below to see the tours for each region. At the end of every season, we send a customer survey to all of our guests. Our goal is to make our tours the finest of any baseball tours, and the 2014 survey results seem to say that we are doing so. We are extremely gratified to know that 100% of our guests who responded were Very Satisfied or Satisfied with their game seats, accommodations, transportation, and the Big League Player Experience. Also, 92% said they would definitely travel with Big League Tours again. If you are considering traveling with us in 2015, please take a look at the comments from our survey. I hope it will help you understand what we're all about. "This was a very enjoyable experience. All aspects of the tour were very well run. Very professional and first class!" "For anyone wondering if this is for real, believe me, it is. I was a little worried when everything was transacted over the Internet. Don't let that fool or frighten you. This is a classy act and you'll have a wonderful experience. All of this with people who love the game just like you do." "Can't say enough about these guys. Very professional and also very personal. They were so helpful and offered as much or as little assistance as needed. Never in your face but always available as hosts. Great hosts, perfect tour." 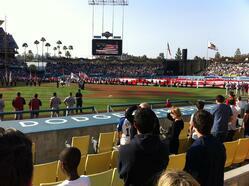 "Great seats for all of the games.....first time to all of these parks...the ONLY way to go!" "WE WERE VERY PLEASED WITH OUR SEATS. The boys truly enjoyed being able to get up close and personal with the players and had some great opportunities of getting foul balls." "The entire tour was well organized and awesome! Thank you so much for your hard work, we had an amazing time!!" "I am not a baseball fan, I was simply accompanying my daughter on her trip. I had absolutely the best time and thoroughly enjoyed all the games. Great seats....especially in San Francisco." "Beautiful accommodations in lovely hotels. Clean, excellent service, high end names and quality. The tour was worth every penny I spent. It was a graduation gift for my son. Thank you for making it a very special experience." "This trip completely exceeded our expectations. Great host & trip." "The hotels were always four or five star. The locations were terrific to either walk to the games, or see the sights in your off time." "This is really a class act. I definitely will travel with them again until I've been to every park in both leagues!" "Would enjoy this again. All was well planned. I didn't have to think; just enjoy!" Please call (866) 619-1748 or email doug@bigleaguetours.com with any questions. We will have our 2015 tour schedule available very soon. Yesterday, Major League Baseball released the team schedules for 2015. And now, our work begins creating the luxury baseball tour packages for the coming season. As you can imagine, it takes some time to go through all 30 teams to design the most appealing tours for our guests. Our preliminary plans include full East & West Coast Tours plus, Midwest, Mideast, and Heartland Tours. In those tours, we will create shorter, "mini" tours like Atlantic Beltway and Southern California for folks that want a quick get away visiting multiple ballparks. We'll also go through the schedule to find the best destination tours for New York, Boston, Chicago, and San Francisco. Keep an eye out for our 2015 Tour Announcement email. We will be sending it very soon. It will include links to all the 2015 tours, plus early bird discounts for guests that purchase their tours before the end of the year.